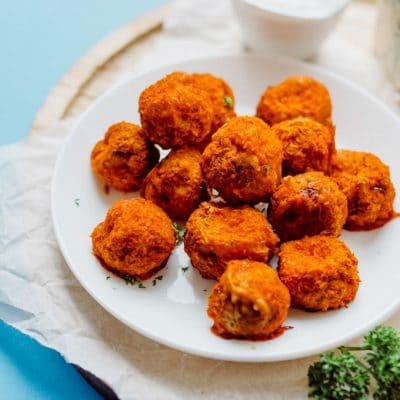 These Buffalo Mushroom Poppers are stuffed with creamy jalapeno filling, coated in a quick panko crust, baked to crispy perfection, and topped off with buffalo sauce and bleu cheese dipping sauce. I get some serious FOMO around this time of year, as I sit over in Europe watching everyone celebrate the 4th of July with BBQing and fireworking and all out America-ing. So I dug out the bottle of Frank’s Red Hot I’ve been hoarding away and got to work making an appetizer reminiscent of every buffalo wing/mozzarella stick/stuffed jalapeno I’ve ever eaten on the 4th of July. Except…with mushrooms. Regular champignon mushrooms make up the bulk of this recipe, creating the base for a creamy jalapeno stuffing, crispy panko coating, and mouth-watering buffalo hot sauce finish. 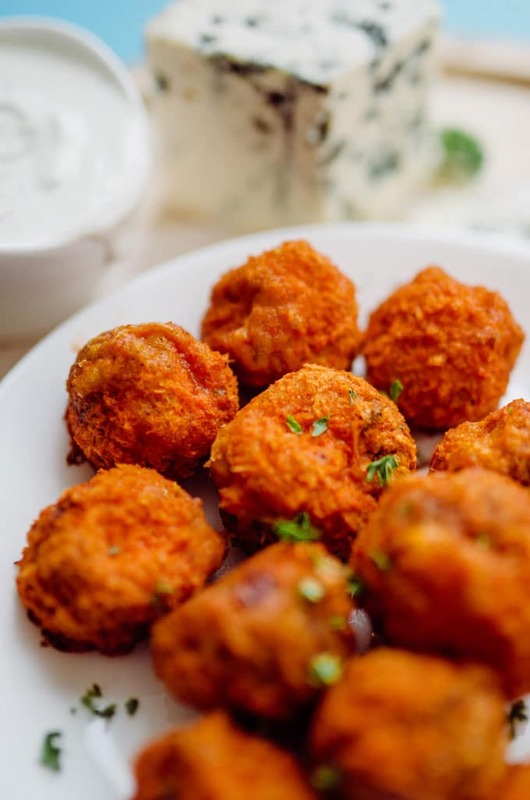 Depending on your tolerance to the buffalo sauce, we’ll also whip up a quick bleu cheese dressing to cool down the fire in your mouth (my best friend eats Frank’s Red Hot with 75% of her meals and I’m convinced she’s burned her taste buds out). 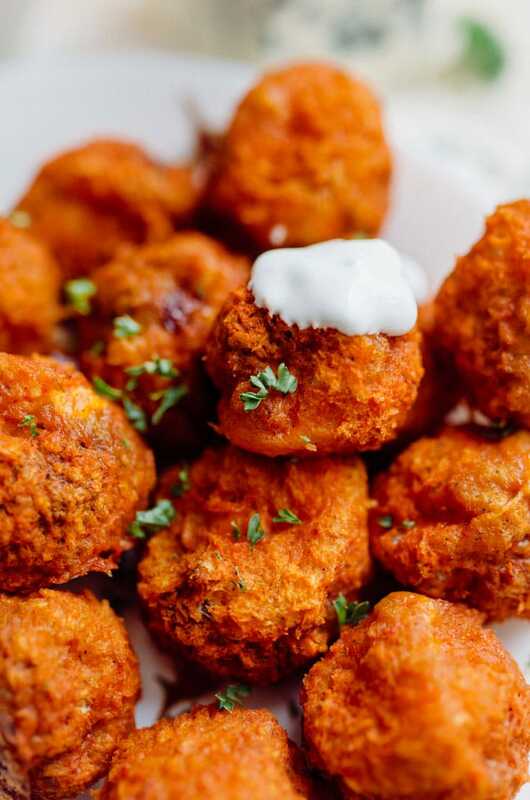 These Buffalo Mushroom Poppers are stuffed with jalapeno, baked to crispy perfection, and served with buffalo sauce and bleu cheese dipping sauce. Stuff: Clean mushrooms with a damp cloth. Pluck or cut the stems from the mushrooms so that they are fairly hollow. Chop up the stems and mix them with the cream cheese, cheddar, and jalapeno. Stuff the cheese mixture into each mushroom. Bread & Bake: Preheat oven to 450 degrees F (232 C). Arrange 3 shallow bowls: 1 with flour, 1 with whisked egg, 1 with panko, salt, and pepper. 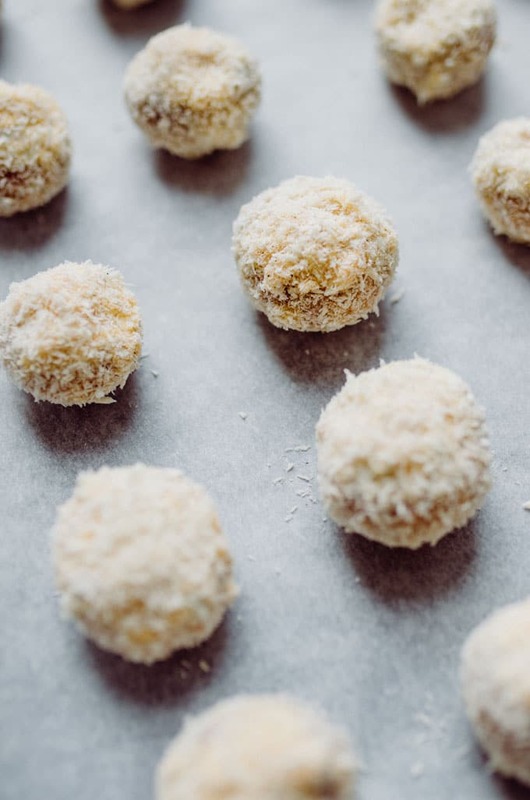 Working in small batched, coat mushrooms in flour, then egg, then panko, setting finished mushrooms on a parchment paper-lined baking sheet. When all are finished, bake for 10 to 12 minutes, or until browned and crisp. Buffalo: Dip each mushroom in buffalo sauce, then return to the oven for 5 minutes, until slightly dry. Serve: Combine the dressing ingredients in a small bowl. 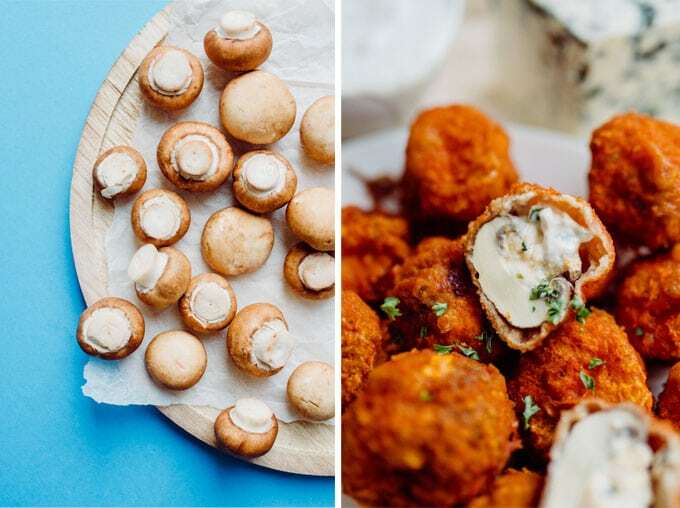 Serve immediately with warm Buffalo Mushroom Poppers. To keep your fingers from getting all gunky while breading, make 1 hand your “wet ingredients” hand and the other your “dry ingredients” hand. This will keep the breading from building up on your fingers as you work! 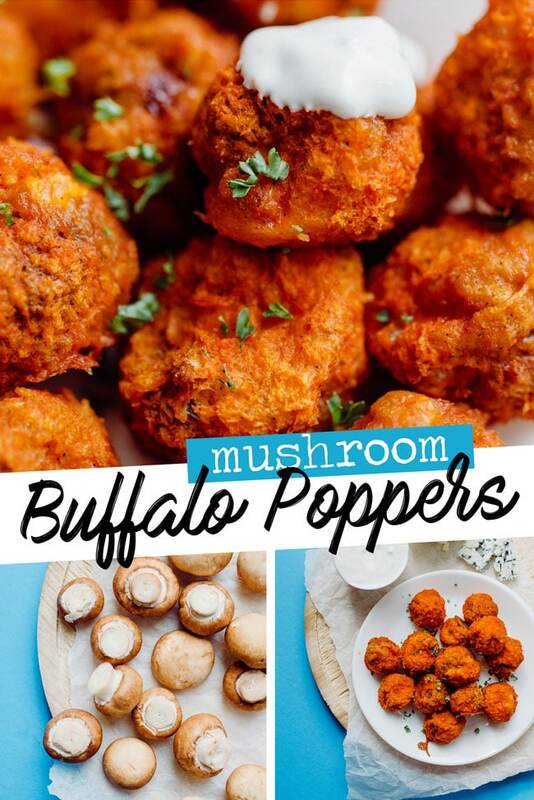 Thanks so much for dropping by and for making easy vegetarian recipes like these Buffalo Mushroom Poppers possible! Be sure to snap a photo and tag #liveeatlearn if you try them out. I’m reading your post on a phone so not sure if I missed this…how many mushrooms is considered a serving?